Bharatpur is referred to as eastern gate of Rajasthan and is situated between 26° 22′ to 27° 83′ North Latitude and 76° 53′ to 78° 17′ East Longitude, with an average elevation of 100 meters above sea level. 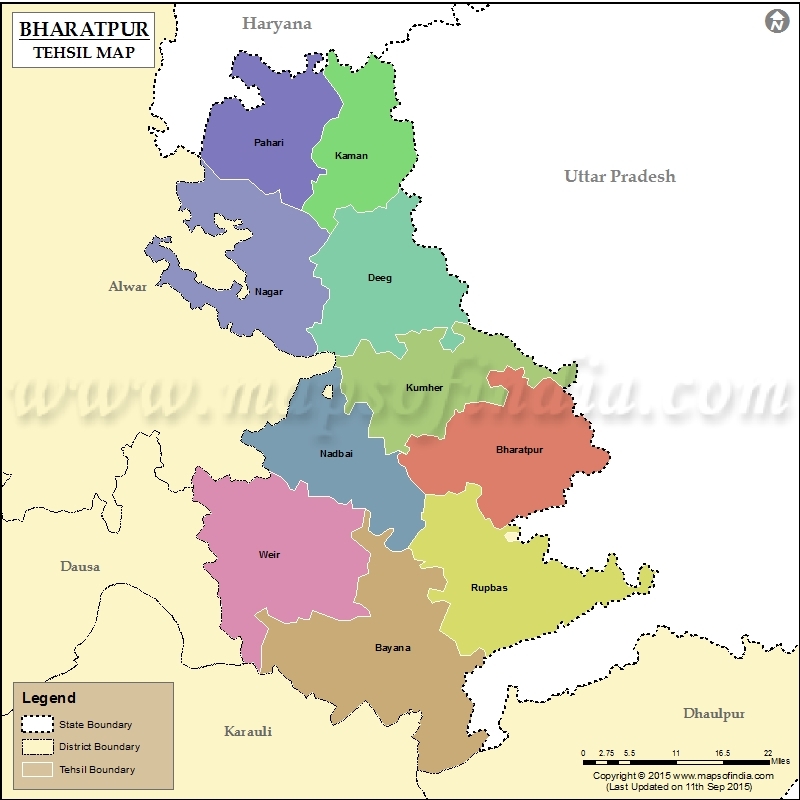 Bharatpur touches district of Alwar in the North-West. The northern border of the Bharatpur touches Gurgaon district (Haryana), eastern border touches district of Mathura(Uttar Pradesh), southern border touches district of Agra (Uttar Pradesh) and district of Dholpur of Rajasthan. It touches Dausa in south-west. Bharatpur district has an area of 5066 Sq. Km which is divided into 11 tehsils namely Bharatpur, Bhusawar, Bayana, Deeg, Kaman, Kumher, Nagar, Nadbai, Pahadi, Rupbas and Weir for administration. Bharatpur is part of ancient mythology with Bharatpur being place of Pandavas residence in the 13th year of their exile. During 5th Century BC, Bharatpur was part of Matsya Kingdom. The town was named Bharatpur after Bharata. At the end of the 17th century, Jat Baija with his son Rajaram, Zamindar of the village of Sinsini, took advantage of the weakness of the Mughal Empire to enlarge his territory.Lord Ram’s brother Laxman is the family deity of the erstwhile royal family of Bharatpur. The name ‘Laxman’ was engraved on the arms, seals and other emblems of the state. 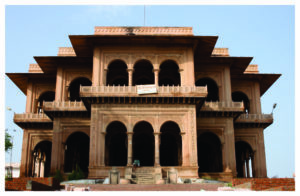 The Jat power in Bharatpur strengthened in the 18th century under the leadership of Badan Singh and Churaman. However, the Mughals got Jat Churaman killed in 1721. Churaman’s brother Badan Singh beacme a very powerful Jat leader following the death of Churaman. 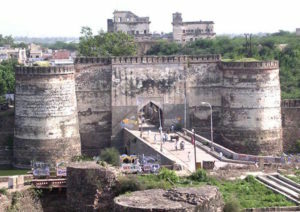 Maharaja Suraj Mal captured the fort of Bharatpur by vanquishing Khemkaran, the rival chieftain and laid the foundation for Bharatpur. Matsya Union was the first State to be formed in Rajasthan with the integration of Alwar, Bharatpur, Dholpur and Karauli which joined the Indian Union. The Ganga Mandir resides in the heart of the city of Bharatpur and is one of the most beautiful temples in Rajasthan. Maharaja Balwant Singh started constructing this temple in the mid-19th century. A magnificent deity of Ganga Maharaj made of pristine white marble resides inside the temple. The temple is dedicated to Laxman, brother of Lord Rama, and is famous for its typical Rajasthani style of architecture and beautiful pink stonework. Visitors will enjoy the intricate carvings of flowers and birds on doorways, ceilings, pillars, walls and arches. Deeg is a beautiful garden town situated north of Bharatpur. The highlight of Deeg is an impressive fort surrounded by moats and gateways. It was built by Raja Suraj Mal and stands over a slightly elevated point. Although the interiors are almost in ruins, the watch tower containing a gun still maintains watch over the city. Kaman is locally also known as Kamaban. The old town is located at the north of Bharatpur and is a part of the Brij area where in mythology Lord Krishna spent his early years. The site is a place of pilgrimage and is annually visited by a large number of Vaishnavs in the month of Bhadhva as a part of the Banyatara. 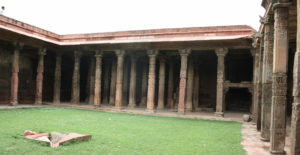 The ruins of a temple / mosque consisting of 84 pillars named Chaurasi Khamba are the main attraction. The Braj festival in Rajasthan is held every year for two days in the Shukla Paksha of the Phalgun month, a few days prior to Holi. The festival is dedicated to Lord Krishna who is believed to have spent a considerable amount of time in a region called Braj in Rajasthan. The highlight of this festival is the Raslila dance performed with great zest and unity. The terrain in Bharatpur & Nadbai is plain while that of Bayana & Rupbas tehsils is diversified by hills. Bharatpur is located in the arid terrains and is drained by seasonal rivers Ban Ganga, Rooparel, Kankud, Gambhir and Parvati. Bandh Baaretha Dam has been constructed on the Kakund River to supply water for drinking and irrigation purposes. The Ban Ganga originates in Ramgarh hills in Jaipur and passes through Dausa and Bharatpur districts to meet the Yamuna River in Uttar Pradesh. The Rooparel River starts from Udaynath hills in Alwar District and enters the district in Kaman Tehsil. The Gambhir River starts from Pachana Dam of Karauli District, and meets the Ban Ganga in Bayana Tehsil. 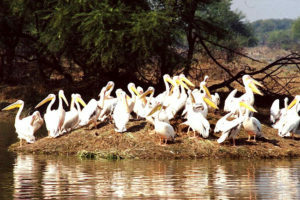 The Keoladeo Ghana National Park is considered to be one of the richest bird areas in the world today. It is a UNESCO world heritage site, Ramsar Wetland & included in Montreux Record. Every year, thousands of migratory waterfowl birds such as green sandpiper and cranes visit the park during winter.The wetlands of Bharatpur were formed when Jat ruler Suraj Mal, who ruled the area between 1726 and 1763, flooded a natural depression by building the Ajan Bund. Water was fed into the marshes twice a year from inundations of the Banganga (North) and Gambhir (South) rivers nearby. A well-designed system of canals, sluices and dykes currently maintains the level of water in different blocks of the park. Over 370 species of birds either stop here while flying the Central Asian migratory flyway or remain as local residents. Migrants arrive from Afghanistan, Turkmenistan, China, Siberia and Mongolia. The bar-headed goose arrives here after flying over the Himalayas! Band Baretha is an old wildlife reserve of the rulers of Bharatpur, currently under the administration of the Forest Department. The construction of the dam on Kakund River was started by Maharaj Jaswant Singh in 1866 AD and completed by Maharaj Ram Singh in 1897 AD. 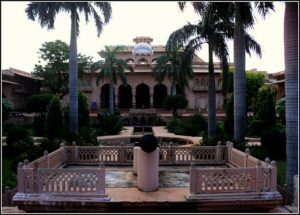 The palace inside the reserve was built by Maharaj Kishan Singh and is the private property of the Bharatpur royal family. Band Baretha has been declared a wildlife sanctuary by state government and is a bird watcher’s paradise because of over 200 species of birds, including the elusive Black Bittern. Estimated 2.5% of the total area of the district comes under the area of mines and minerals. Minerals are generally found in the area of Bayana, Kama, Weir, Bhusawar, Deeg, Roopwas & Bharatpur. Main mineral found in the district are Saltpeter, Copper, Lead, Barytes, Silica Sand, Soap stone, Brick clay, quartzite etc. Brick clay is found generally all over the district. Bharatpur has population of 25,49,121. Bharatpur has an average literacy rate of 82.13%, which is higher than the national average of 74.04%; with male literacy of 90.41% and female literacy of 72.80%. The languages commonly spoken in Bharatpur are Hindi and Braj-Bhasha.